Poutine – that Canadian dish of exquisite perfection – is getting a lot of attention these days. 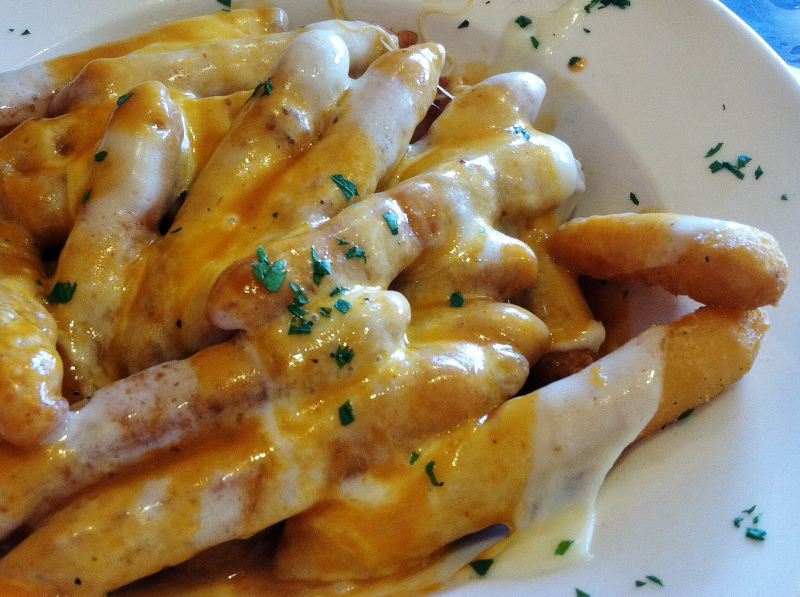 This simple dish is nothing but french fries covered in a special gravy and topped with cheese curds. But, oh, what a winning combination! Food bloggers swoon over poutine and post photos all over the internet (go ahead, have a look). Au Pied de Chochon in Montreal offers a version with foie gras (yes!) and a new restaurant called Big Cheese Poutinerie just opened in Chicago, offering 30 variations on the theme. 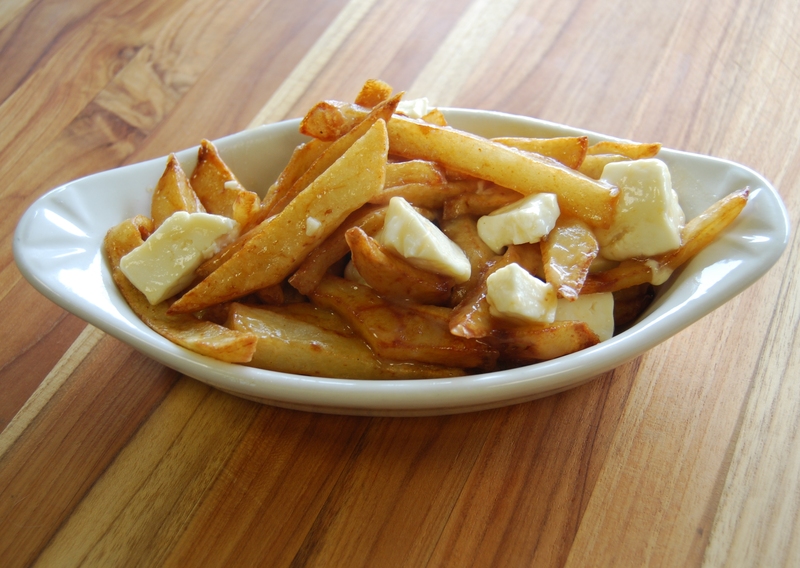 Tucson residents can look forward to the August opening of the first U.S. Fries, a Canadian restaurant which will offer a poutine-centric menu. Clearly the time has come to embrace poutine. And we are so ready. Wait. Cheese curds? Not impossible to find in the U.S. But it helps to be near a dairy or cheese factory, because these rubbery little chunks of salty cheese must be eaten fresh. They are sometimes known as “squeaky cheese” because they squeak against your teeth when you bite down. Poutine has been adapted in the U.S., specifically in New York City and parts of New Jersey, where restaurants offer “disco fries.” By the late 1970s a hot dish of fries with beef gravy and shredded cheese was de rigueur dining for disco divas with a lot of alcohol in their systems at 2 a.m. Or at least that’s what we gather from the history page at the website Montreal Poutine. But they are NOT poutine. The main difference between poutine and disco fries is the cheese. Cheddar or mozzarella cheese is fully melted over the heap of disco fries, unlike the cheese curds in poutine, which melt and soften, but remain whole and add a lot of chewy texture to the dish. Apparently, you cannot even compare the two in front of a Canadian. We have one in our office and she became quite agitated at them even being mentioned in the same sentence. Sorry! So we decided to make poutine D’Artagnan style, which means starting with duck fat fried potatoes. There is nothing better than duck fat for frying potatoes. We used 4 of our 7 ounce containers of it in this recipe. The great thing about duck fat is that you can reuse it (if it’s not burned), so let it cool and pour it into jar. Fry something else in it later. You will thank us. 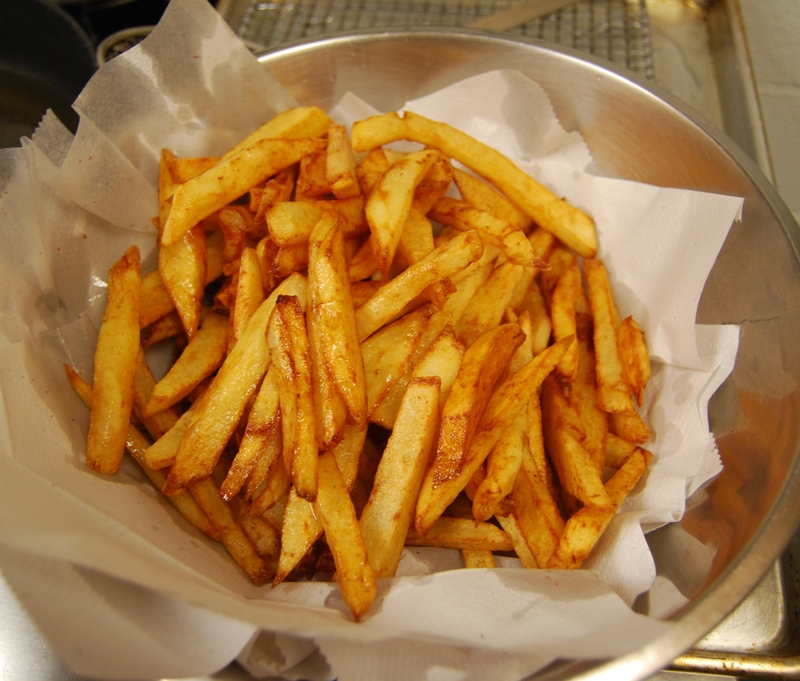 One batch in the duck fat & parcooked fries on the rack. 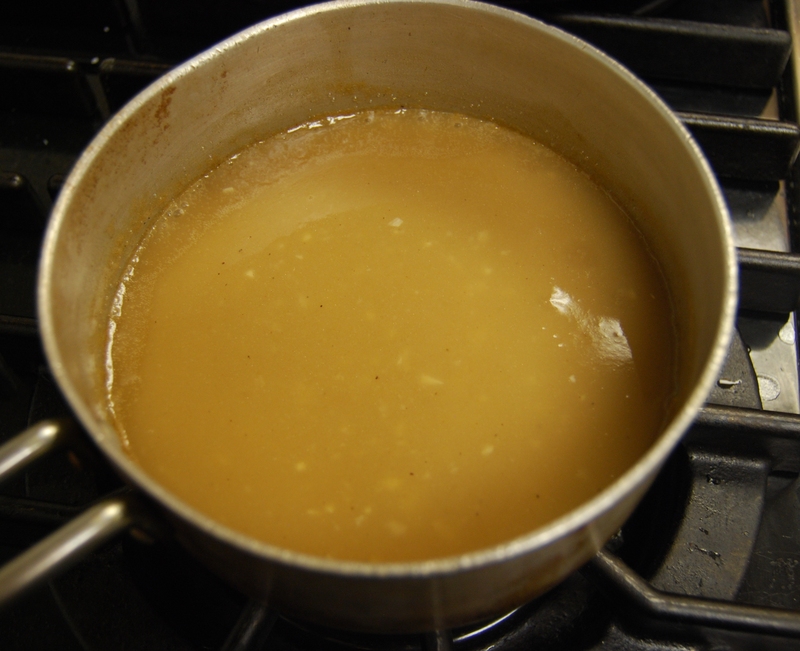 Our gravy is homemade with real chicken and beef stock, though we went a little too heavy on the chicken-to-beef stock ratio. A good dash of our duck and veal demi- glace balanced out the flavor and made the color a bit darker. 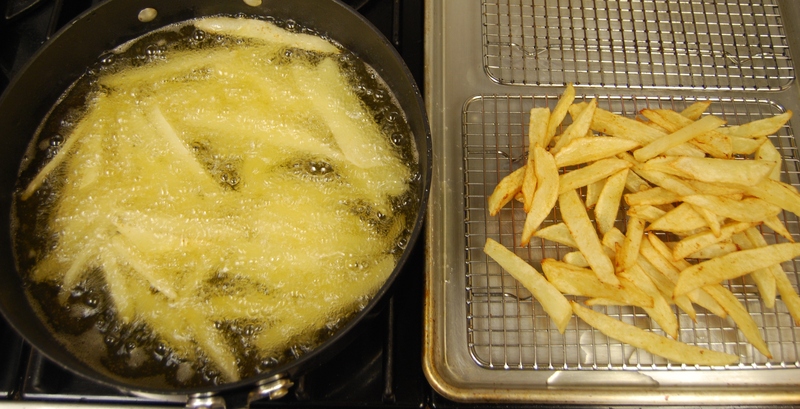 Fries need to cook in hot duck fat twice. The first time for 5-8 minutes to par cook and the second time at slightly higher temperature to crisp and brown nicely. This will only take a few minutes. We tossed the fries in a bowl with a little gravy, then added the cheese curds, a little more salt and it was divine. If you can get cheese curds, we suggest you give it a try. And if you can’t, try them with some foie gras instead.